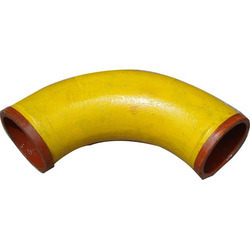 Manufacturer of a wide range of products which include 90 degree pipe bends, short bends, cast iron pipe bends and straight pipe. We manufacture and supply 90 Degree Pipe Bends that is widely acclaimed in the market for high tensile strength, resistance to corrosion, Attractive design, low maintenance, accurate dimensions and easy installation. Our quality analysts test these products on various parameters to ensure the products adherence to the set standards. These are generally used as facades, panoramic lifts, refrigerator, shop fronts, showcases, shower doors, and cabinets. We accept bulk order for the product and ensure timely delivery of the same. With expertise in this domain we have come up with Short Bends that is highly resistant to abrasiveness and has high tensile strength. These are made using high grade material that are procured from some of the most reliable vendors in the industry. These are used in pumps & petrochemicals, construction and cement industries. 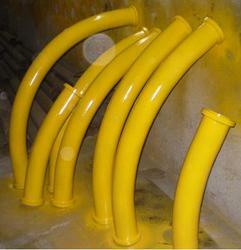 Our bends are installed in place of welded flanges of the piping systems. The product is widely acclaimed in the market for their durability, accurate dimensions and high tensile strength. The range of Cast IronPipe Bends that we are providing are made of high quality cast iron that have high tensile strength and thermal resistance. 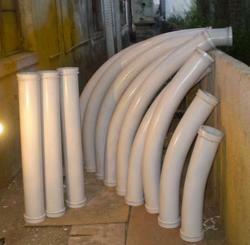 Available in different sizes, we can also customize these bends as per the requirements of our clients. The bends allow easy access to electrical wires for repair or inspection. We are an acclaimed name to offer a wide range of quality proven Straight Pipes.Offered straight pipe is design and manufactured using optimum quality materials and highly advanced technology to meet the international quality standards. 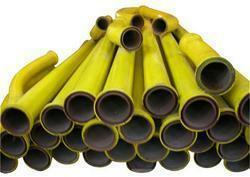 These straight pipes are available with us in various specifications to meet the requirements of various clients. Being a customer oriented organization we always try to timely deliver high quality straight pipe to our valued clients at leading market price.